In the broadest sense this book is concerned with describing and explaining how particular places contain the key elements necessary for understanding the social worlds constructed, maintained, and modified by those who once inhabited them. This is achieved through the investigation of biographical, topographic, geopolitical, ideological, cosmological, and mnemonic facets of place, beginning with processes of place making and continuing with the development of networks among and between places and broader landscapes. Diverse spatial and temporal contexts in two culture areas--Mesoamerica and the Greater Southwest--serve as backdrops for nine chapters in which fourteen contributors show how place is an ideal starting point to begin unraveling the human past. Several authors further address the enduring significance of places of the past for contemporary peoples. 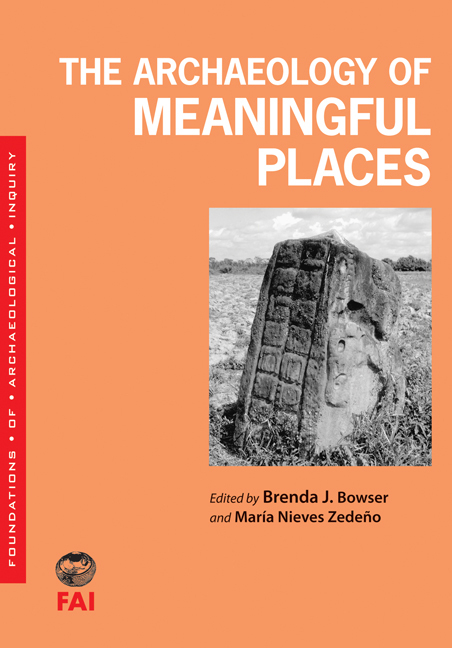 Among the many strengths of this volume is the careful way in which powerful concepts, diverse lines of thought, and empirical models are integrated to reveal the multiple facets of meaningful places, and to illustrate ways in which places may be approached archaeologically, theoretically, and culturally. Ultimately, the book’s contributors champion the notion that place is a valid and useful analytical unit for describing, reconstructing, interpreting, and explaining the form, structure, and temporality of the meanings humans ascribe to their environment. Brenda J. Bowser is assistant professor of anthropology at California State University, Fullerton. She is author of Cultural Transmission and Material Culture: Breaking Down Boundaries and Drink, Society, and Power in the Andes. María Nieves Zedeño is associate research anthropologist at the Bureau of Applied Research in Anthropology and associate professor of anthropology at the University of Arizona. She is the author of Sourcing Prehistoric Ceramics at Chodistaas Pueblo, Arizona: The Circulation of People and Pots in the Grasshopper Region.